A rustic but modern cookbook, filled with traditional recipes passed down through several generations of Greek and Mediterranean cooks. With a minimalist feel and an emphasis on the use of fresh ingredients, limited use of processed raw ingredients, and a generous dose of olive oil in almost every dish, this is a cookbook that moves focus away from weight management enthusiasts, toward the more health-conscious foodie. 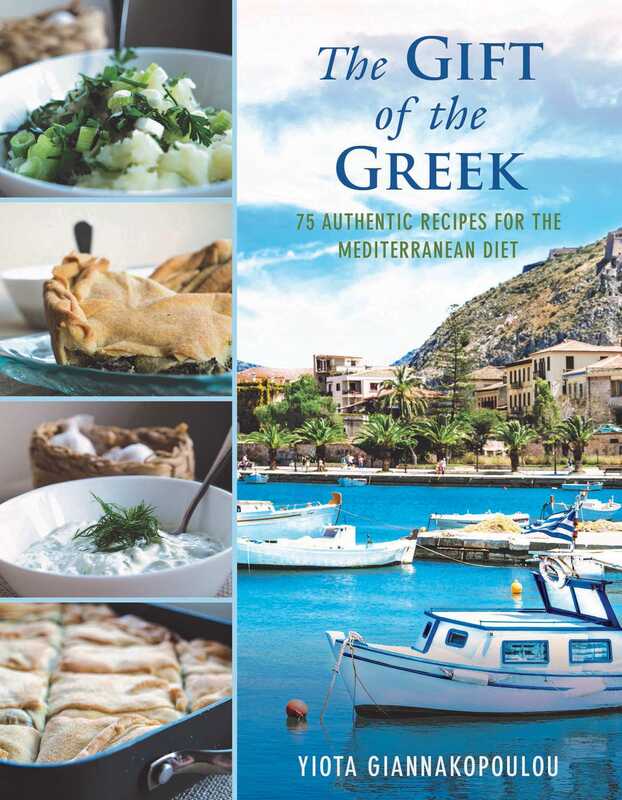 In The Gift of the Greek, you will find recipes for colorful, vibrant salads, delicious specialty breads, an array of dips for every occasion, and an abundance of desserts influenced by Greece’s geographical position as a checkpoint between the East and the West. Fragrant syrups, eastern spices, and heartwarming custards adorn the pages of this contemporary, yet traditional cookbook. For generations the Greek diet was almost exclusively vegan, which is something that resulted from the country’s close relationship with religion and, subsequently, lent. This book is designed with the traditional Greek diet in mind, using a minimal amount of meat. Eat your way to a healthy olive-oiled heart, and live as long as George, Yiota’s 99-year-old granddad!